You can objectively conclude that AAP Construction is your best choice for a mason service from these facts: we offer construction in Clifton, New Jersey for steps, chimneys, walkways, brick walls and much more. This wide-ranging experience stands us in good stead for any of the diverse work a Clifton masonry contractor may have to perform. In fact, this is how AAP Construction distinguishes itself from other Clifton masons. We do not constrain ourselves to a small niche; we tackle all jobs related to masonry and construction. This means that the know-how we gain from one area of practice can help us become even better in other, related areas. Interested in this cause-and-effect? 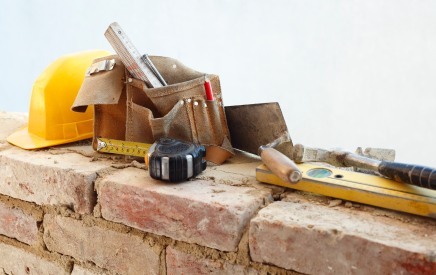 Give us a call at (973) 298-1013 and we'll happily answer any questions you may have about our Clifton masonry service. Thus, as the complete Clifton mason service, we do it all. And this means that when you want any type masonry work in Clifton, AAP Construction is your automatic choice. What this means as a corollary is that we are practiced in the usage of masonry tools: from trowels to long shovels and from the mortar-mixing bowl to the cement-mixer, we have the experience. We have been gaining this Clifton experience since 1993, and we got it by not being fussy. If you have a large Clifton construction project, we'll be happy to make a bid. From your walk-up steps to the chimney on the roof of your Clifton home, we'll be happy to construct it beautifully, and long lasting. Phone us today at (973) 298-1013 to learn more and set up a free, no-obligation quote. You have nothing to lose and everything to gain by phoning AAP Construction, your masonry experts in Clifton NJ.